Complex is back at it with its sophomore show of ComplexCon in Long Beach, California. With N.E.R.D. reuniting at this year’s convention there was no doubt we would be in the presence of the creative mastermind himself, Pharrell Williams. 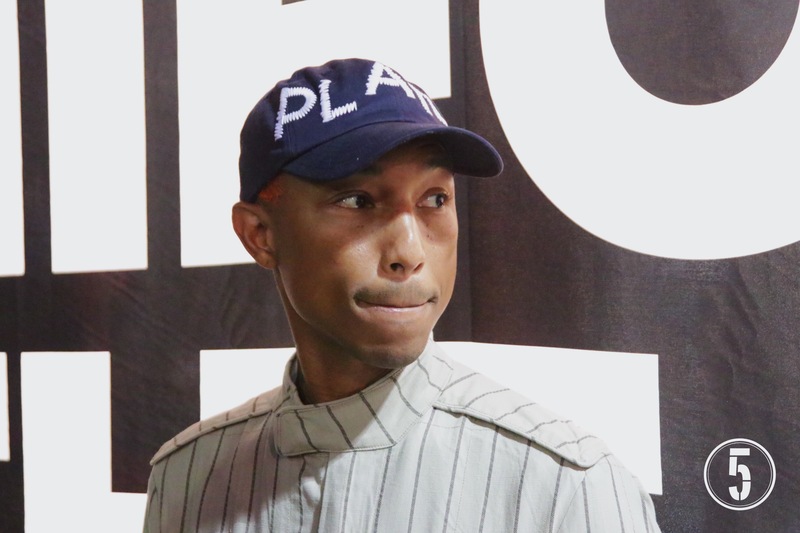 In true Pharrell fashion, the G-Star Raw co-owner made an unannounced stop at the G-Star Raw booth to unveil the installation to the crowd. A commotion began at the entrance of ComplexCon and a sea of fans and photographers rushed towards Williams in hopes to snap that perfect photo or video and of course get that exclusive flex on social media. I mean, if you didn’t take a picture it never happened right? As Pharrell made his way through the barricades he was met by singer J Balvin who was rocking a pair of Chanel circle frame shades and a vintage Starter Lakers jacket. J Balvin was also debuting a collaboration with Buchanan Whisky with a pop-up installation of “Balvin Airlines” directly behind the G-Star Raw Booth. Stay locked on The 5th Element for more news straight from ComplexCon 2017.